The Rebel Sweetheart. 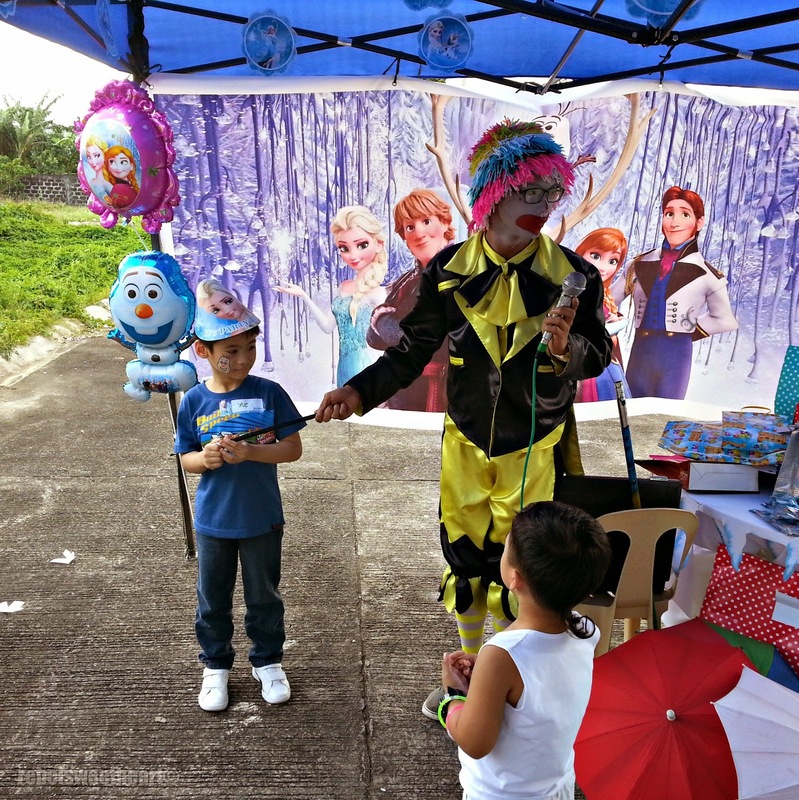 : Wordless Wednesday #118 | Frozen Birthday Party! Oh yes! 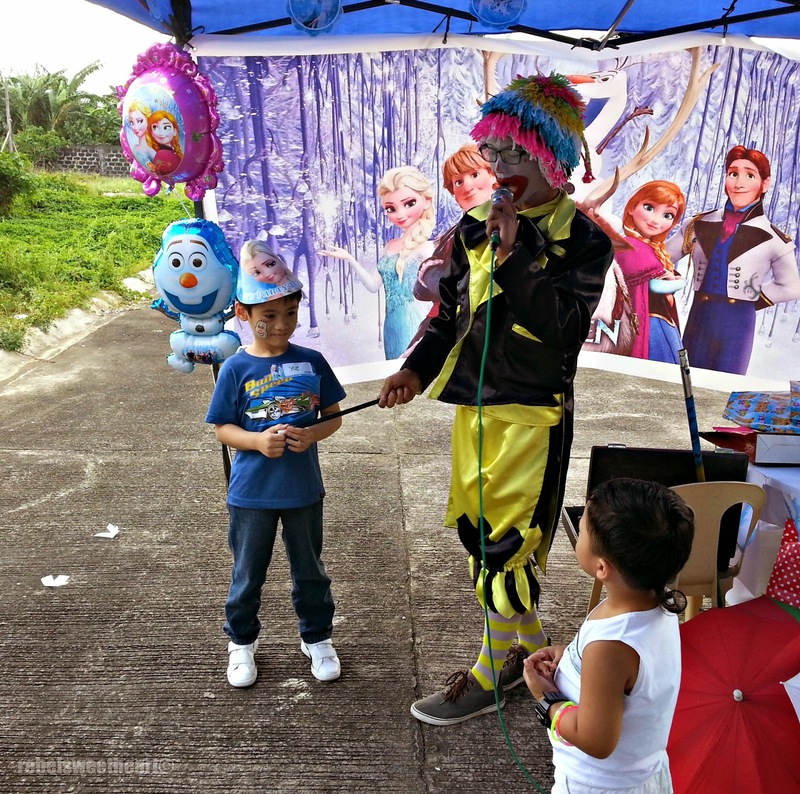 Another birthday party to which Yue, his friends, and the rest of the Grade 1 class were invited. 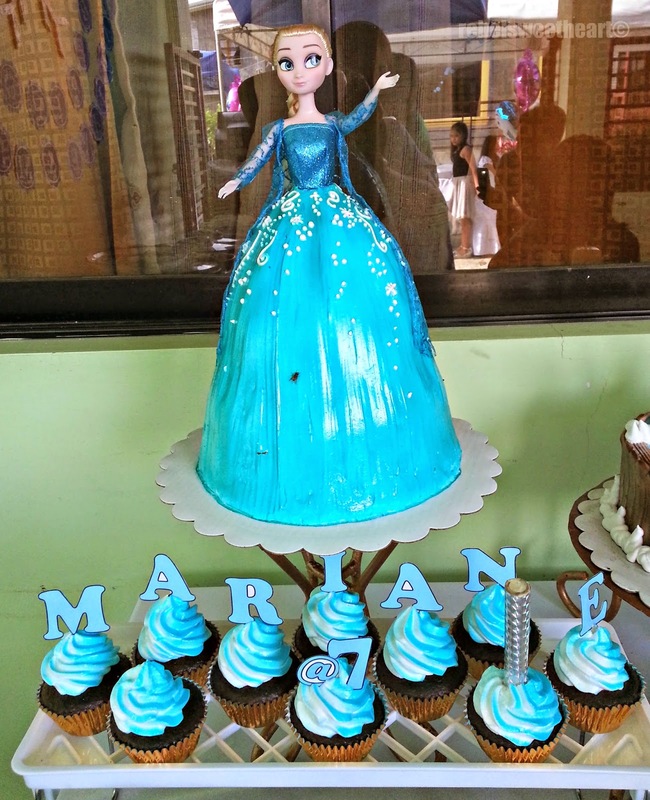 Marianne, the celebrant, had Frozen for her party theme, and she was dressed as Elsa for her event. 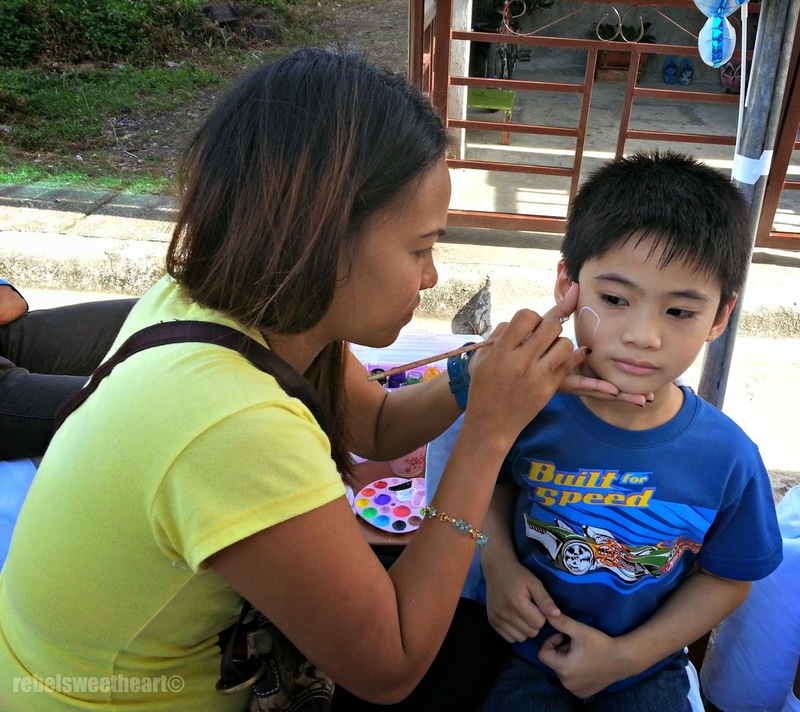 There was a face painter at the party, and the kids took turns in having their faces painted. 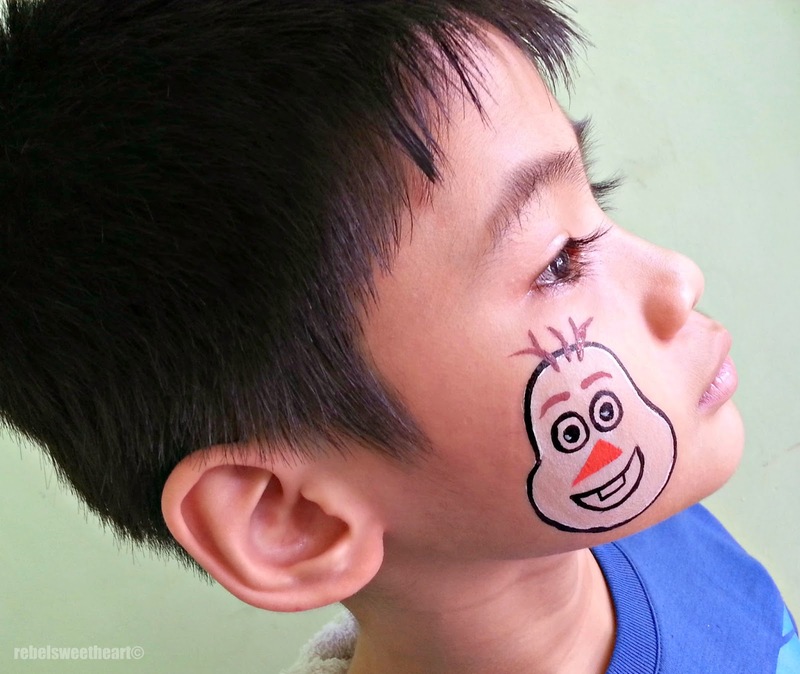 Little man had Olaf painted on his face. 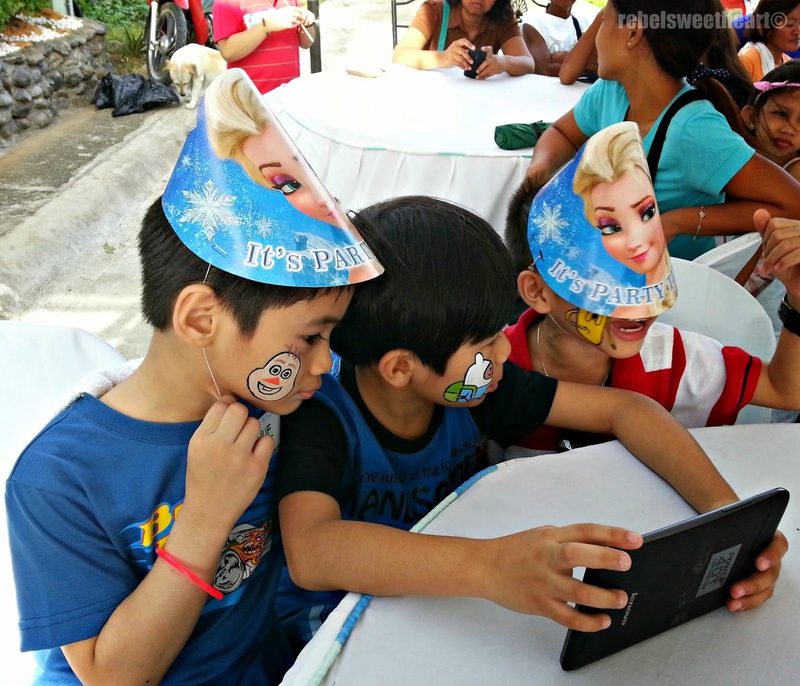 While some of his friends sported Adventure Time characters on their faces. Fun games for the kids! And here's Marianne's super cute birthday cake. With cupcakes to boot. Lovely Frozen cake they had at the party. Really nice that they had face painting so the kids can have their favourite characters painted on them. Marianne's birthday party look lovely, that is a very big and pretty frozen batter that you have in the background. 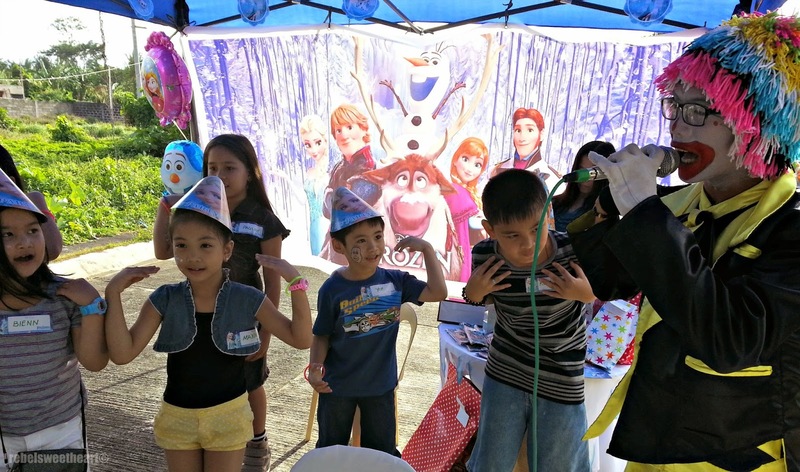 Frozen seems to be the number one birthday party theme for a little girls these days. What a fun birthday party. I love that cake! What a cute party. I love the snowman on the cheek. What a fun party for the kids, they love those tattoos, there very cute!!!! Hope you can stop by this week and join The Oh My Heartsie Girls WW! How adorable! 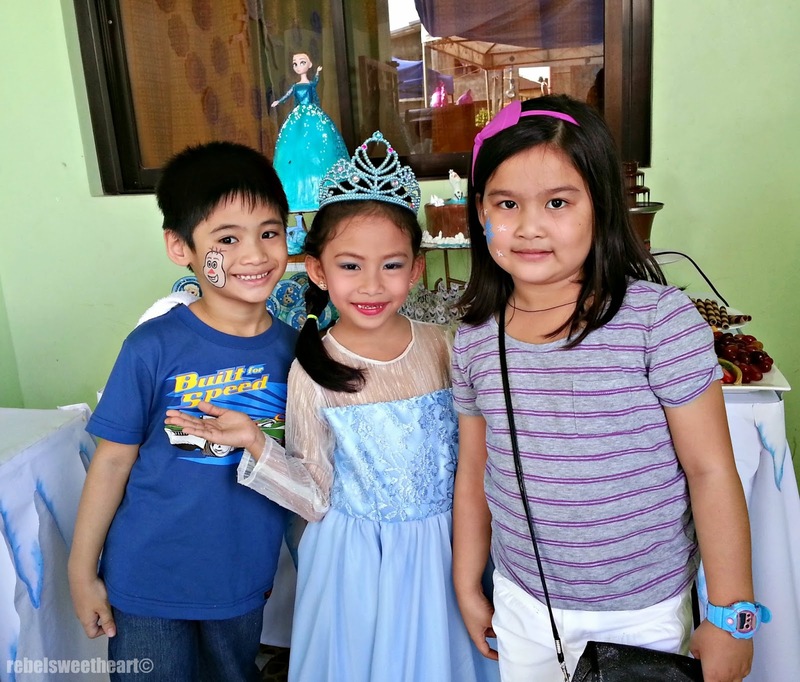 My daughter loves Frozen.. thanks for sharing! Looks like a fantastic party! The cake and cupcakes look AMAZING! Looks like everyone had fun! Especially Elsa! I still have never seen this Frozen. But wow the kids just love it !!! Oh how fun. My toddler is a huge fan of Frozen and her birthday is in a few days. She would love this. What a great birthday theme! My 4 yr old would flip if we had a Frozen party.